Most homeowners are unable to complete electrical wiring projects themselves as these are more complicated than something you should be doing by yourself. 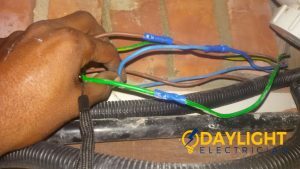 Electrical wiring can be undoubtedly messy and time-consuming, also if it not done by experienced and qualified electrical wiring contractors in Singapore, it could be a safety risk to homes and businesses. It is especially so in HDB rewiring projects. 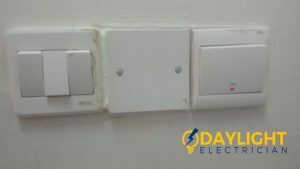 While simple electrical wiring projects can be done by yourself, most HDB rewiring and electrical wiring installation should be done by a professional wiring contractor in Singapore in order to avoid electrical wiring mistakes that can lead to potential dangers. As your preferred electrical wiring contractor, we have a team of licensed electricians that are trained to provide all your electrical wiring, rewiring, and electrical extension services. 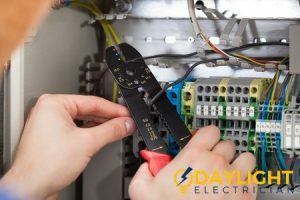 Daylight Electrician Singapore understands the importance of having a properly installed electrical wiring system and we can help you maintain or reinstall electrical wiring in your HDB flat, condominium, business, or office. These are signs that you need to hire an EMA certified and reliable electrician in Singapore to help you maintain your electrical wiring or carry out a full rewiring of your HDB, office, and other residential and commercial areas. There are several electrical wiring terms and tools used by electrical wiring contractors in Singapore that most homeowners should learn before undertaking any electrical wiring installations. However, if you’re more experienced in such projects, it is also important to know basic electrical wirings that are available in the country. Non-metallic (NM) cables are mostly suitable for dry spaces such as in residential houses in Singapore. Underground Feeder (UF) cable is one form of a non-metallic cable made up of a solid plastic sheathing individually covering each the insulated live wire, neutral wire, and ground wire. Conduits are described as the metallic or plastic tubing encasing electric wires. They are mainly used in as house wirings, which are exposed in the interior walls and ceilings of residential homes. Low voltage wires are enclosed in pairs inside a plastic cable. 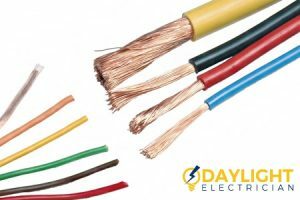 These electrical wires are typically short and are used in low voltage circuits. Meanwhile, some electrical wirings are coated with an alloy of lead and aluminium, where more than 90% of the composition consists of lead. 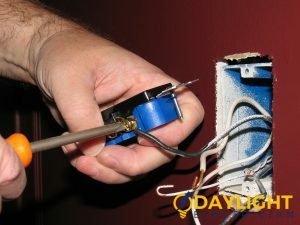 Joint box system is an inexpensive method that is often used in temporary installations found in several home appliances. 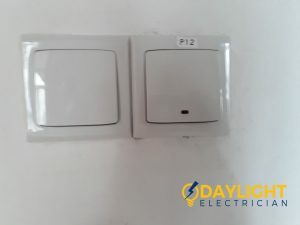 Here, the wirings leading to the specific appliance are connected to the main wiring system with the help of joint connectors, which are usually secured and covered in small joint boxes. Loop-in or parallel system is a method of electrical wiring widely used in most electrical appliances. Here, the wires are wounded across the switch and connected straight to the terminal point of the power supply. 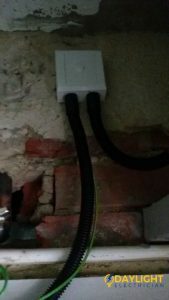 Cleat wiring system is a cheap and easy kind of electrical wiring installation, where the insulated VIR or PVC cables are attached to the walls and ceilings with the help of T-shaped cleats, made of plastic, wood, or porcelain. Batten wiring system is highly approved in many domestic buildings due to the electrical wiring’s safety features. This system consists of wooden battens made up of strong teakwood. These wooden battens then cover circular or oval shaped cables with single, double, or three cores. Any electric wire found in your house are susceptible to frays due to heat, age, corrosion, and general wear-and-tear. Sharp edges of screws or nails are also likely to damage the wires. More often than not, rodents also chew on electrical wires, which can lead to eventual damage. If you sense any kind of rodent activity, make sure to check each wiring in your house and look for potential frays. 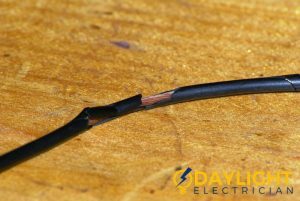 This damaged electrical wiring poses a serious threat to your safety as it can lead to further electrical problems. Found any scorch marks or warm, burnt spots on your electrical switches or outlets? These might suggest that your wiring was not properly installed. Do take note that electrical switches and outlets should not be warm to touch, otherwise, it may indicate an overheating. Circuit breakers that frequently trip most likely indicate a case of overloading. If there is critical damage on your electrical wires or circuit breaker, an electrical panel replacement should be done. 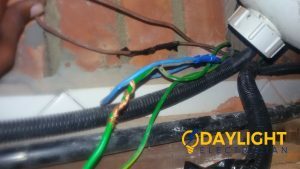 To avoid such problems, always opt for a professional electrical wiring installation service, especially when you already need to re-install an electrical component or appliance. In any situation concerning electricity, any instances of smoke are deemed an ultimate sign of danger. 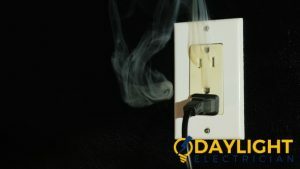 When you notice any kind of smoke coming out from your electrical wiring, appliance, or power outlet, quickly turn them off. If you’re unable to locate the cause of the smoke, switch the main power supply or circuit breaker at home and call a certified electrician for help. Electrical rewiring costs are usually not as expensive as everyone assumes. 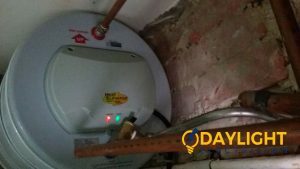 If your lighting installations tend to dim when you switch on some electrical outlets, then it is highly likely that your circuit or electrical wiring is overloaded. To ensure your safety, troubleshoot the issue by specifically inspecting both your circuit and electrical wiring. Better yet, call a professional electrician to ensure that your house wiring is working properly. Over time, connections between electrical switches and wires happen to loosen up due to frequent usage and old age. With this, you should regularly check and ensure all switch plates and outlet covers are in good condition. This allows you to ensure that your electrical wiring is properly and effectively secured inside its container. 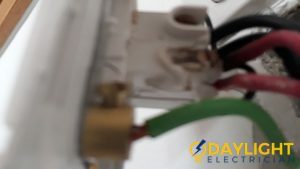 The smallest mistake in any electrical wiring repair can lead to very unsafe conditions which could potentially lead to electrocution or even electrical fires as well as loss of life and property. 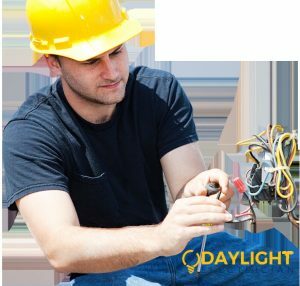 Daylight Electrician Singapore is your preferred one-stop shop for all electrical wiring solutions. Your safety is our priority and we will ensure that we only use Original Equipment Manufacturer (OEM) parts for all your electrical wiring installations. 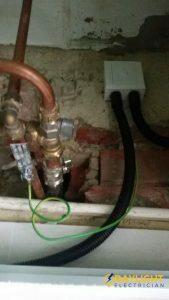 Our highly-experienced electricians will ensure that all your wirings are up to government codes and standards when we are done. We will keep your HDB electrical wiring costs down by identifying what your exact needs are, your problems and what you also need in the foreseeable future. We then find the most efficient way to upgrade your electrical panels and circuits so that they last longer. We also provide you with additional electrical extensions to make your home more convenient for you. Our electrical wiring installations are covered by our 30-day service warranty and our commitment to provide excellent after-sales support whenever you need it. Just read our positive reviews over the years to see it for yourself. We also carry out electrical wiring installations for commercial buildings and new constructions. 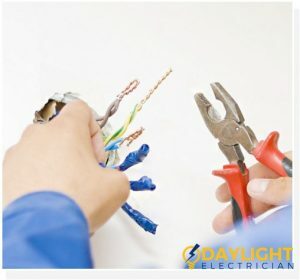 Daylight Electrician Singapore also offers emergency electrician services. 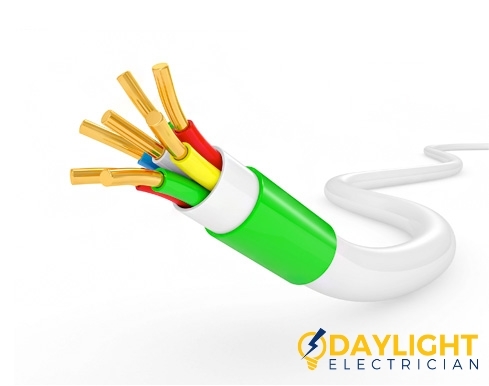 Call us today at +65 6653 6261 for a no-obligation consultation or send an email to enquiry@daylightelectrician.com and we will have a trained electrician assist you with your electrical wiring needs.